Workouts Building Muscle How Long Should a Warm-Up Last? 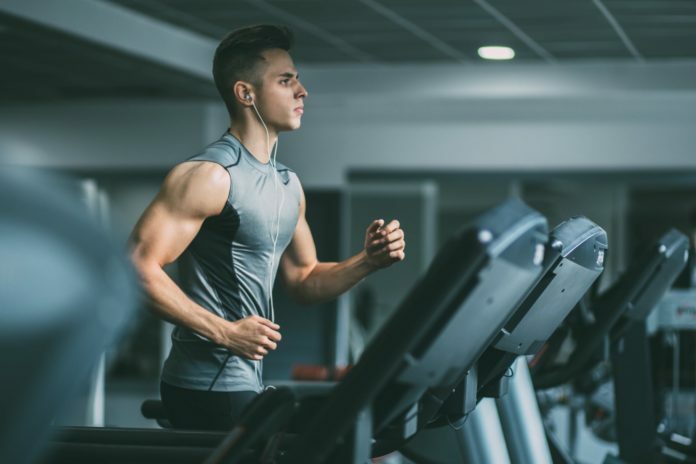 A study by the University of Calgary Human Performance Laboratory found that certain types of warm-up activities may be better than others when it comes to improving performance, and delaying fatigue. Their research showed that shorter, less intense warm-ups may be better than long, more intense warm-ups. The Centers for Disease Control and Prevention, for example, recommends a 5 to 10-minute walk to warm and loosen your muscles before moving into a strength-training session. A warm-up session prior to a workout is essential to prevent injuries. Cold muscles do not stretch and contract as readily as when their fibers are warm. Consequently, tearing may occur if you skip the warm-up. In addition, a warm body’s capacity to deliver oxygen and nutrient-loaded blood to muscle tissue is greater. Before you start your strength-training with proper weights, you should do one warm-up set with easy weights on every muscle-group you train. Previous articleProtein Shake Before or After a Workout? Next articleChampions League Winner 2018 – Real Madrid Did it Again!